This is a really cool event for children of all ages to attend! 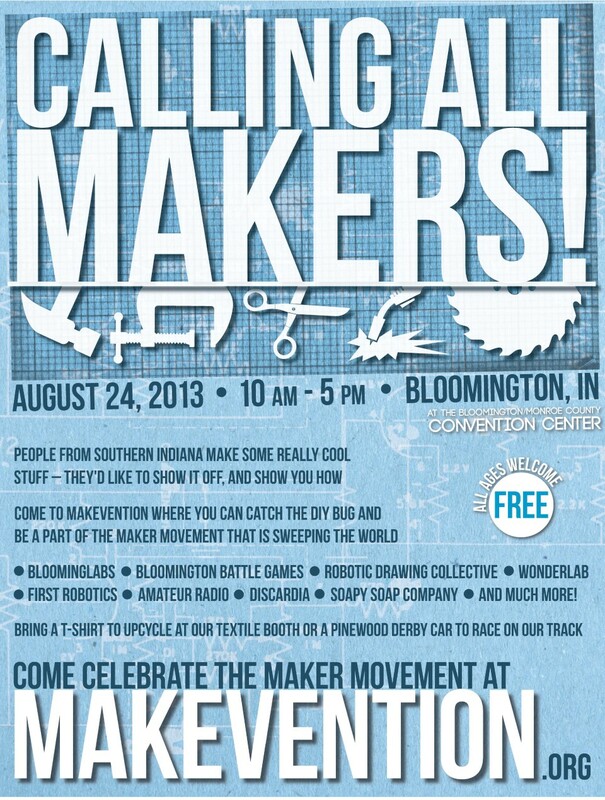 The best part is that Scouting will be represented and the event is FREE for everyone! It’s short notice, but for those looking for something fun to do this weekend without breaking the treasury this might be just the thing. If anyone goes, take plenty of pictures! Join Scout Night for Pack 121 is tonight from 6:30pm – 7:30pm. This is for parents of boys interested in joining Cub Scouts. Representatives from the Hoosier Trails Council will be on hand along with Cub Master Aaron and Committee Chair Laura, to help answer questions, discuss Scouting, and meet with new families. 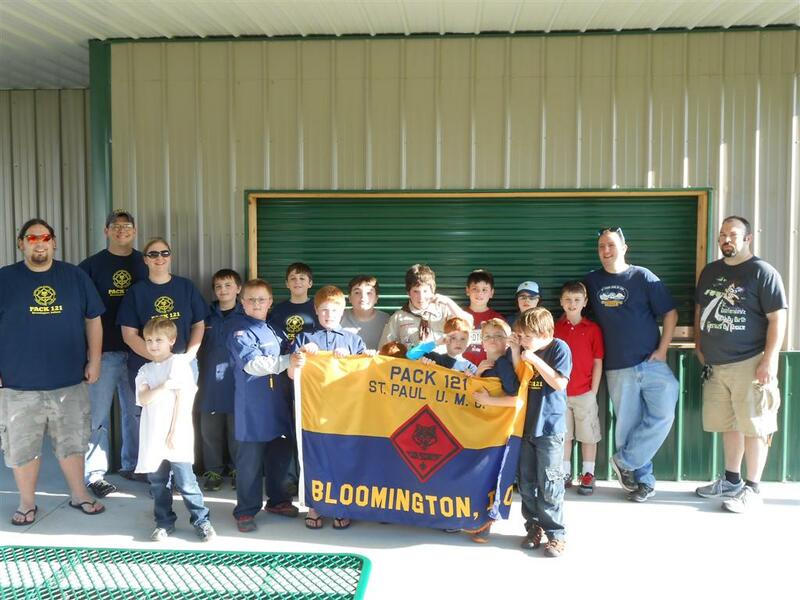 Cub Scout Pack 121 accepts boys in grades 1-6 and will be attending Summitt, Grandview and Highland Park school open houses. Anyone interested in joining Cub Scouts is welcome to attend. We are happy to answer all of your questions. School is out so that means that the Pack 121 Summer Program has begun! We kick off our summer with our June Camp-out at McCormicks Creek State Park June 7-June 9. Families wishing to camp need to contact Laura immediately to reserve your spot, our sites are going fast and the park only allows 2 families (tents) per site. Be sure to reserve yours now, if you plan to camp. Those not wishing to camp, are still invited to visit us on Saturday June 8 for daily activities. See the itinerary below for more information. Campsites are $26/night, so if we have 2 families signed on to one site its only $13/night per family! At last count we had 7 families signed up to camp, which is awesome. There is still room for more though, so lets go camping. 10:15am – 11:15 am – Lost Baby! 8:30pm? – After close of campfire, the Astronomy viewing will be available for those who would like to attend. Astronomy viewing will be after the campfire until around 9:30pm time permitting. Firewood with a federal compliance stamp that is purchased at a department store, gas station, grocery store, etc. Firewood purchased outside the park from a local vendor who has a state compliance agreement (be sure to get a copy of the permit). Firewood purchased at the campstore or other location on the property. Be sure to get a copy of their state compliance agreement. Matches (waterproof carrier) or Lighter to start fires. Following is a summary of the campground rules. For a complete list of rules check out the campground maps – rules are on the second page of the map PDF. Please do your part to make sure everyone has a safe and enjoyable camping experience. Pets – Many family pets do not seem to enjoy the camping experience nearly as much as their humans. The unfamiliarity and confusion of a busy campground and being constantly on a leash seem to upset some animals. Excessive noise and not cleaning up after pets leads to many complaints from other campers. Campers are responsible for their pets at all times. Do not leave them unattended. Pets must be on a leash 6 feet or less, in length. Tables – Each site is outfitted with one picnic table. Borrowing tables from other sites is not allowed and creates discord when they must be retrieved for the site from which they were taken. Vehicles – Reducing congestion and visitor safety are the reasons for the “one mode of transportation per site” rule. Additional vehicles must be parked in designated campground parking lots. Number of people/tents per site – Six people is the maximum number allowed at a campsite. Each site may have two tents or one camper and one small tent. Quiet hours are from 11 p.m. until 7 a.m. At night, voices carry so moderation is essential. Generators or other similar equipment which produces noise may only be in operation from 7 a.m. until 11:00 p.m. Fires and firewood – Fires may be built only in the fire rings provided. Collecting firewood in state parks is prohibited. Firewood is for sale at the Camp Store. Visitors to your site – Day visitors are welcome. They must park in the campground parking lot and may walk to your campsite. Campground hours are 7:00 a.m. until 11:00 p.m. each day. Age of campers – At least one person at the campsite must be 18 years old. The responsible party registering for the campsite shall remain at the site for the entire stay. Length of stay – Maximum length of stay is 14 consecutive nights. Campers must then vacate the property for 48 hours before re-registering for an additional stay. Renewing campsites – Campers are requested to renew sites by 10:00 a.m. Boys in a Tiger Cub den complete the activities for Achievement 5, Let’s Go Outdoors; boys in a Wolf den complete Requirement 7, Your Living World; boys in a Bear den complete Requirement 12, Family Outdoor Adventures; boys in a Webelos den earn the Outdoorsman activity badge. I am extremely proud of our boys. We had 17 of our boys who participated in the 3 outings and completed their requirements for the Leave No Trace Award! While this (Leave No Trace) is something we as scouts practice everyday, it is not an award that every scout earns. So I am so happy we had such a great participation percentage for our Leave No Trace Program this year. Discuss with your den’s Cub Scouts or your pack’s leaders the importance of the Leave No Trace frontcountry guidelines. Assist at least three boys in earning Cub Scouting’s Leave No Trace Awareness Award. Families, it just reinforces my belief that we have the best group of leaders in the district when I see that we had 11 leaders who earned their Leave No Trace awards. They accomplished this while helping our boys to understand the principles of Leave No Trace. THANK YOU! To everyone who helped out. I look forward to displaying our photo’s and posters at next Monday’s Graduation Pack Meeting. Tonight we will be conducting our April Pack meeting. We have some skits, some announcements, some awards and even some snacks I think planned for tonight. Parents please remember that all Pack Meetings are Class A events, so all scouters (leaders and boys alike) need to be in Class A’s tonight. BE ADVISED: The Church is undergoing renovations in preparation for their 50th Anniversary service in May. Tonight, they will be working on hallways and rooms painting, cleaning, etc. Boys should be restricted to just Brashaber Hall and the Restrooms (while attended by a parent) tonight, so as to not conflict with the work being done. Please help us be good stewards of the facilities we are blessed to be provided with by St. Paul UMC. The Wapehani Spring Camporee is coming up fast. The Camporee is April 26th – April 28th at the Monroe County Airport. Our Webelos have been invited as guests of Troop 148, and can attend the Camporee with them. This is for Webelos Scouts only, I believe family including younger scout siblings can camp with their Webelos scout but the activities and events are Merit Badge oriented with limited class sizes. 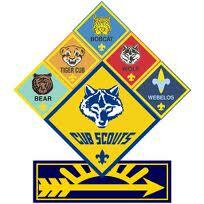 So only Webelos Scouts will be included in the Merit Badge classes. The information on the Council website (http://tinyurl.com/crrhab7) has some confusing errors regarding the dates and deadlines. As far as I can tell, the Early Registration Fee is $10/scouter if registered before 4/19 and $15/scouter after 4/19. There is some confusion, the Troop was told the Early Registration Deadline is tomorrow so not sure if it will be $10 or $15 for Webelos to attend. I need the names of Webelos attending so I can collect the Registrations fee’s and get the list to Scoutmaster Jim so he can make sure our Webelos are registered to attend. I need this information as soon as possible so please let me know by Monday’s Pack Meeting so Jim can register the additional Webelos and get us the details. Tonight at 6:30pm we will meet to honor our 4 Webelos 2 Scouts who have earned their Arrow of Light Awards and will be crossing over to Boy Scouts. BSA Troop 121 will be on hand to receive our Scouts as they prepare to continue their Scouting journey. This is a Class A event for our boys. Webelos 1 Scouts will be handling the duties of the Color Guard and some of our Bear Scouts will server as ushers and greeters. We would like to thank BSA Troop 121 for being on hand tonight to receive our Crossover Scouts tonight. Ceremony begins at 6:30pm and the Committee will be providing Pizza and Drinks afterwards.